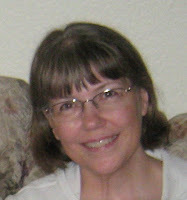 Cross and Cutlass: Debut Devotional: Pearls from the Sea - GiveAway! Debut Devotional: Pearls from the Sea - GiveAway! I'm so excited to announce that I, along with my good friend, Debbie Mitchell, have published our first devotional!! 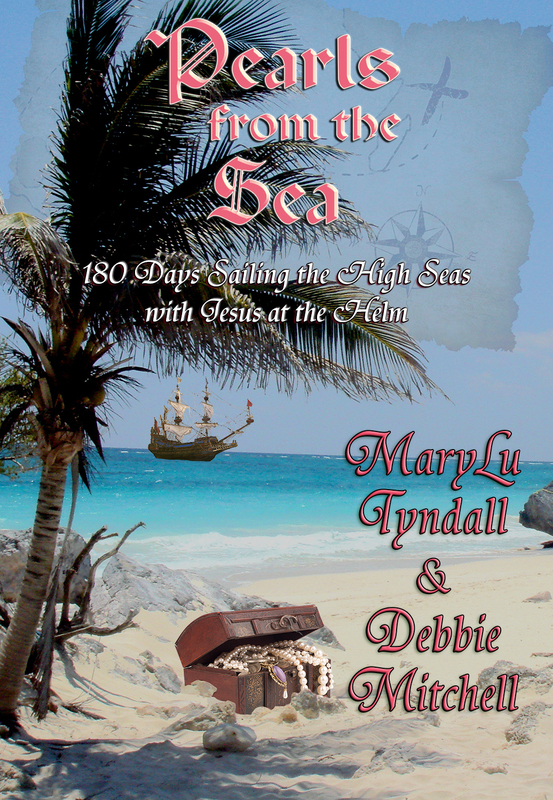 It's called Pearls from the Sea: 180 Days sailing the High Seas with Jesus at the Helm!! And it's finally available as an e-book on all formats. We kept the price low at only 4.99 because our main goal is to bless and encourage the Body of Christ. Hoist all sails, weigh anchor, and come aboard the tall ship, Pilgrimage, for the voyage of a lifetime! Spend 180 days with Jesus at the helm while you navigate dangerous shoals, climb the rigging to the top yards, enjoy breathtaking horizons, suffer through the doldrums, battle fierce pirates, and endure violent storms! All the while, getting to know the captain of your ship (and your soul) and learning to lean on Him. Do you feel like your ship is upside down? Aside from a deep, abiding friendship, Debbie Mitchell and I share two other loves: a love for Jesus and a love for the sea! Over the years, we have combined those loves into messages that, inspired by the Holy Spirit, have touched lives around us in our family and community. All of us are on a journey sailing toward that eternal horizon, and along the way, we will inevitably encounter storms, battles, victories, smooth-sailing, and even the doldrums. Jesus never promised an easy life, but He did promise an abundant one. Debbie and I have come to know from experience that the abundance He spoke of comes in the form of love, joy, peace, power and great adventures we never dreamed of! The key? Keep Jesus at the helm of your ship! We pray you will enjoy your journey with us across glorious and sometimes perilous seas as we head toward those heavenly shores where there will be no more pain and no more tears, no more battles,and no more storms, only smooth sailing for all of eternity! If you'd like to win a FREE E-copy of our Devotional, please leave a comment with your email address. I'll announce the winner next Tuesday, the 14th! Well ... your e-book "Pearls from the Sea" sounds wonderful -- down to earth, practical, scriptural, helpful, and more ... but alas, I don't own anything I could read it on. Hoping it will indeed bless the many who read it. Great job, ladies ! Sounds like a great devotional! :) I can't wait to get it! This sounds interesting! Thanks for collaborating and sharing this! Sounds like something I need! Love your books MaryLu! Praying that the Lord continues to bless your gift! Sounds like a great devotional! Thanks for taking the time to write and bless others! Yes, MaryLu, thank you for taking the time to do this with me! I know how precious your time is, but I also know how big your love for God is...you are a faithful follower of Christ and I am blessed to call you friend. I truly pray that many people will be blessed through our devotional. THANK YOU TO EVERYONE WHO POSTED AND GOD BLESS!!! You can download Kindle for your computer and read it on your monitor ( I think) Just look for Kindle for Mac or Kindle for PC. I'd love to be in the drawing for the devotional book. Sounds like it is going to be a book full of blessings. I am so excited about this book....and thanks to you ladies for writing it! Would love to be in the drawing. Yes, Brenda, like Debra mentioned, you can get the free Kindle for PC for your computer or laptop. Thank you so much for stopping by Debra and Jackie! God bless. Wow, you've got me curious. I'll add this to my list of books to read. Hi MaryLu and Debbie I would love a copy of this devotional. I love the way you kept themes of the sea in it also your humour or so it looks. Thank you so much for this devotional as it is a good way of staying in His Word and learning more about Him through the day. Hey MaryLu and Debbie your devotional book sounds good. Thanks for the giveaway. I would love to win and read it. Hey Liz! Thanks for dropping by! Good luck in the drawing! I would love for you to read it. Hugs!